Staff Selection Commission Released Official Notification Released. 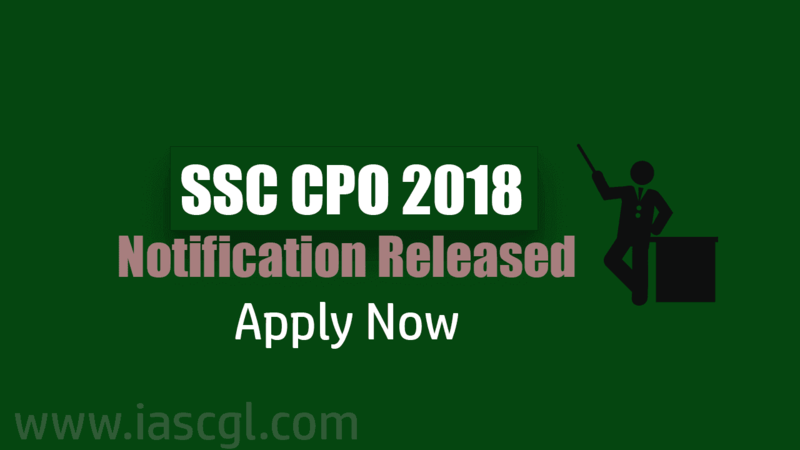 Staff Selection Commission has released notification for Central Police Organization(CPO) 2018. SSC will recruit eligible candidate for CAPFs, ASI, and SI in Delhi Police. This year SSC recruit total 1223 tentative vacancies through this recruitment. Interested and Eligible candidate can apply through official website of ssc or we activated a direct link at the end of this article. SSC CPO recruit total 1223 tentative vacancies. Candidate having a Bachelor's Degree or equivalent form Recognized Board of Education.